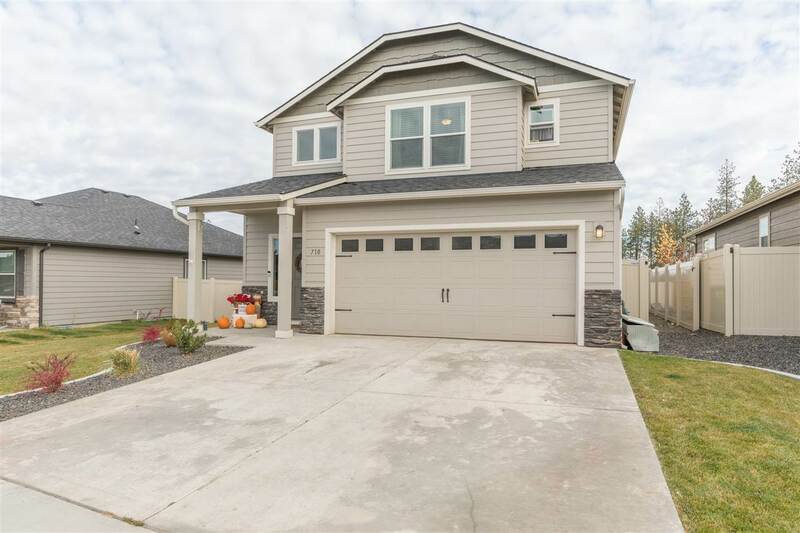 710 W Birchbend Dr, Spokane, WA.| MLS# 201826526 | Cooper Realty Services (509) 599-1111 | Spokane WA Real Estate | Contact us to request more information about our Homes for Sale in the Spokane WA area. Beautiful Eagle Ridge home located just steps from the 5-acre park and nearby nature trails! Quartz countertops, stainless appliances, gas range and large kitchen island with eating bar are just a few amenities! Spacious great room with gas fireplace and LVP flooring! Large master suite features huge walk in closet & dual sink vanity. Spacious 2nd & 3rd bedrooms feature Jack-n-Jill bathroom. Laundry room conveniently located upstairs. Oversized garage, fully landscaped/fenced yard, gas heat, AC. Great home! Heat/Cooling: Forced Air, Cent A/C, Prog. Therm.